This is an impressively researched book about the Norton grape, a discovery in the 1820s by Dr. Daniel Norton who fortuitously uncovered a hybrid grape that could survive the harsh eastern New World climate, and produce good, even very good wine, something that the early colonists and Thomas Jefferson were never unable to achieve. The tale continues in Missouri where German immigrants cultivated the Norton grape ( it is known there as Norton-Cynthiana) and produced a landmark bottling in 1873. Several generations later, Dennis Horton brought cuttings back to Virginia, which were the first plantings of the grape in Virginia since repeal. The first Horton Norton was released in 1992. Jenni McCloud, a transgendered dot-com-millionaire-turned- vintner developed a strong affinity with the Norton grape and became its champion, committed to developing the largest planting of it anywhere in the world. She released her first Norton wine, the Chrysalis Norton Locksley Reserve, in 2000. The Norton grape makes a divisive wine with some liking it, a few loving it, and most disdaining it. It is an intense, inky red wine that likely will never find wide appeal. 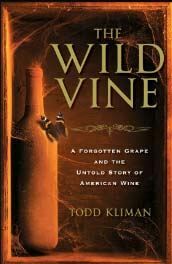 Despite that, the story of its history is captivating as portrayed by Todd Kliman, a highly respected James Beard Foundation Award winning food and wine writer. After reading this book I had to find a bottle of Norton just to complete the story. I searched my neighborhood in Southern California including several large retail wine stores, but was unable to locate a single bottling of Norton. Virginia wines, let alone Norton, are obscure in Virginia and even rarer in California. Norton just can’t seem to find a market. As for Virginians, Kliman notes, “At the mere mention of the name, most would allow their mouths to curl in a little smirk of a smile.” I will withhold any similar disparaging behavior since this story has left me with a thirsty curiosity which will not be satiated until I find a bottle of Norton. Richard Mendelson is certainly qualified to tell this history as he is both a practicing lawyer in Napa Valley and a winemaker. He is the director of the Program on Wine Law and Policy at the University of California at Berkeley School of Law. If you live in the United States, you have been affected in one way or another by our archaic and complex state wine shipping laws. Certainly HR5034 is on most wine enthusiasts’ mind currently as it represents a threat to legal, regulated winery-to-consumer shipping that is now successfully operative in 37 states. 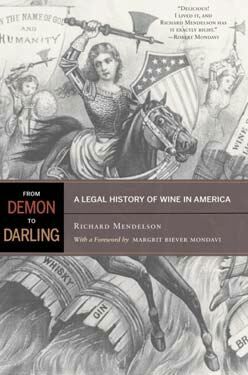 In a concise (less than 200 pages), to the point and organized chronological history, Mendelson details how we have arrived at the complex issue of who can distribute and freely buy wine in this country under the complex array of both federal and state requirements. Your first reaction might be that this book is a boring legal treatise filled with legalese and complex dissertation on fine point wine laws. Nothing could be further from the truth. This is a very easy reading, insightful story about the rise and fall of social movements, Prohibition, the origins of the appellation model, and current wine laws, told in an easily understandable fashion. If you are so inclined, there are numerous legal citations in the back note references, but most readers will not be interested in or distracted by these. I have marked several pages in the book, intending to use it as a valuable historical reference. I had the distinct honor of meeting Evan at this year’s IPNC and interviewing him for a video documentary on the event. After the interview, we sat and talked for quite a while, and I became mesmerized by this dynamo who is bursting with knowledge and enthusiasm for wine and food. Evan is a Master Sommelier and a prolific food and wine industry veteran whose career began in the kitchens of Paris and California including Berkeley’s Chez Panisse. In 1984, he joined his mother, chef and author Joyce Goldstein, in opening the celebrated San Francisco restaurant Square One. Three years later, he became the eight American and youngest ever at the time to pass the Master Sommelier examination. Since 1990 Evan has created wine education programs and service hospitality schools, as well as trained and examined candidates for the Court of Master Sommeliers as a Founding Board Member. 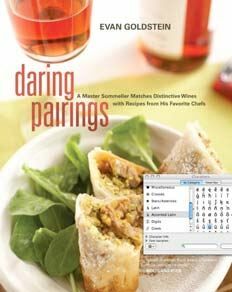 He has authored several critically acclaimed books including Perfect Pairings: A Master Sommelier’s Practical Advice for Partnering Wine with Food and this sequel. He is currently President and Chief Education Officer of Full Circle Wine Solutions, Inc., and may soon have his own television show on food and wine. This book takes off after Evan’s first book, Perfect Pairings, exploring food pairings for thirty-six less conventional grape varieties like Albarino, Grenache, Grüner Veltliner, Nebbiolo, Tempranillo and even Xinomavro. Each grape variety is discussed in detail including sources throughout the world, recommended importers and different styles available. This is followed by pairing pointers that tell the reader what goes well with each wine and what isn’t a good match. Thirty-six star chefs, including Suzanne Goin, Cindy Pawlcyn, and Charles Trotter offer recipes to match Evan’s wine selections. Both Evan and the chef comment about the chosen recipe. Full color photographs of the dishes are mouth watering. Finally someone has written a definitive book on the wine regions of Washington, Oregon, British Columbia and Idaho. Certainly author Cole Danehower is the one most qualified to do it. A noted wine journalist and winner of the prestigious James Beard Foundation Journalism Award, Cole is also co-publisher of Northwest Palate and author of that magazine’s popular “Inside Northwest Wine” column. 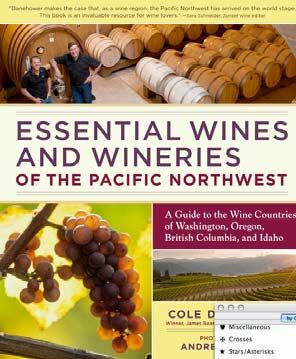 Its nearly 300 pages, contain a short, but informative general overview of the Pacific Northwest wine region with a useful glossary, followed by a more detailed discussion of the topography, geology, climate, and history of each major region. The wineries that are then described are purely the author’s choice based on his experienced palate and the importance and reputation of the winery. Cole has personally visited the recommended wineries, met the winemakers, and/or tasted extensively the wines of each listed winery. The wineries chosen represent less than 10% of the Northwest’s wineries, but those that are detailed stand out for their excellence. This is a very handy book, that although not pocketbook size, is small enough to easily throw into a backpack or large purse. The wineries featured provide an opportunity to launch an exploration of each wine region and the detailed information on each winery will greatly assist in touring. The striking photographs of talented Andrea Johnson bring Northwest wine country to life. Andrea is an award-winning freelance photographer whose work has appearing in many wine magazines as well as National Geographic and Sunset. She has a love for wine that shows in the dreamy photos included in this definitive work. 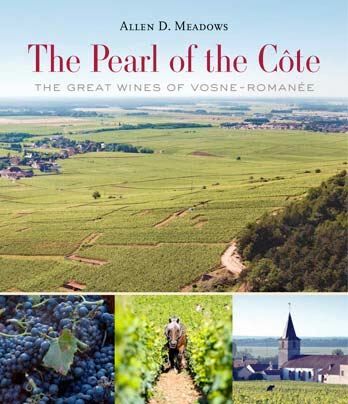 Note: Although I have not reviewed the book yet, I want to alert you to the publication of The Pearl of the Côte: The Great Wines of Vosne-Romanée, written by renowned Burgundy expert, Allen Meadows. The book is currently available through www.burghoundbooks.com.